Jennifer concentrates her practice on the defense of real estate litigation, general and product liability and recreational matters. She effectively counsels and represents clients in the real estate, construction and food service industries in state and federal courts as well as in front of the Division of Professional Licensure, Board of Registration of Real Estate Brokers and Salespersons. Notably, Jennifer successfully secured a motion for summary judgment on behalf of real estate agents and brokerage firm in a heavily contested matter involving allegations of improper marketing of a property and deed restriction against the subdivision of land in Essex County which was affirmed by the Massachusetts Appeals Court. In addition, Jennifer has successfully argued and obtained summary judgment in a number of cases representing real estate agents and real estate brokerage companies against allegations of misrepresentation and M.G.L.c.93A. Jennifer's practice has earned her recognition by her peers as a "Massachusetts Rising Star." 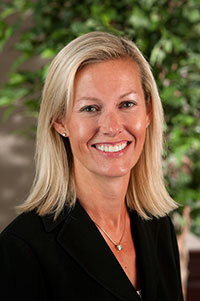 Out of the office, Jennifer enjoys skiing, cycling, water color painting and playing tennis.